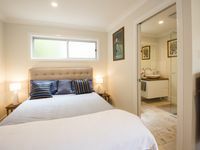 Spacious Bangalow Apartment for short and longer stays. Property 16: Spacious Bangalow Apartment for short and longer stays. Property 36: 'Amor' - Hidden Oasis! Heather couldn&rsquo;t have been more responsive and helpful. Place was well appointed and contained everything needed. Beach towels, etc. Air con came in really handy. Will return! My partner and I stayed here for four nights for our anniversary. The location was great, a short walk from town and it was much quieter than other places we&rsquo;ve stayed in the town centre. The home itself has everything you need and was a delight to stay in, it was clean and tidy. The host was lovely and so attentive and made sure that everything was ok. A great amount of privacy too. Would recommend to anybody looking to stay in Byron.